increase access to health assessment, diagnosis, care delivery and health monitoring. If it involves CARE, we got you covered! Whether it is Primary Care, Chronic Care, Acute Care, Remote Patient Monitoring, Chronic Care Management, Transitional Care, Population Health… we can help you implement it quickly and cost-effectively. We solve the issues of 1) lack of access to medical care and 2) lack of medical professionals to serve those in need of care. Our plug and play Care Delivery Platform empowers care providers to perform comprehensive exams at any care point, and leverages the ubiquity of mobile to enable doctors to remotely make in-clinic quality diagnose, anywhere in the world. CARE DELIVERY PLATFORM - "A CLINIC WITHOUT WALLS"
Platform-As-A-Service - Spend more time with patient, and less time doing paperwork. Start implementing robust healthcare services on day one. Get your practice ready for medicare reimbursable Chronic Care Management in no time. Increase your revenue. A new era of Remote Patient Monitoring is here. Medicare reimbursable. Powerful Care Delivery Platform empowers field workers and with a plug-play medical infrastructure. We help practitioners implement an effective medicare reimbursable TCM. Our solution provides comprehensive patient care. Post discharge management through engagement. 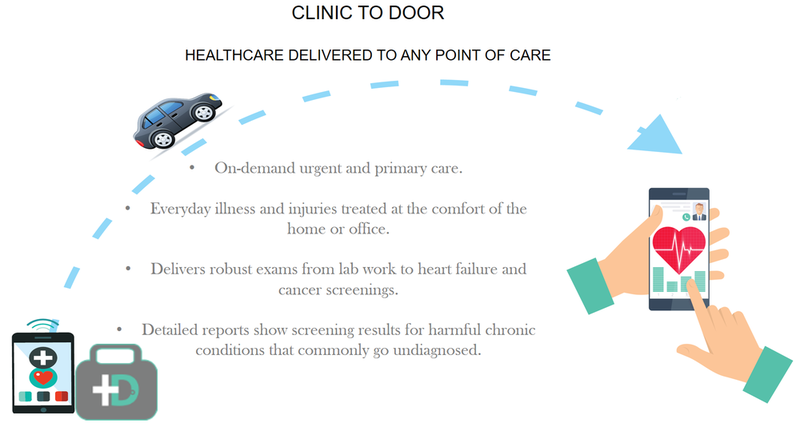 As part of our Care Delivery Platform, Clinic In a Bag includes clinical tools that combine vitals, cutting edge diagnostic devices, lab work and HD telemedicine with the power of cloud analysis and EHR reporting to create a new level of accessible examination… A clinic without walls. Rijuven simplifies the deployment of remote care management by providing intuitive and easy-to-use technology and a clinical tools for the clinician, patient, and family caregiver. Copyright Rijuven Corp. 2018-2028. All rights reserved.